Scott A Croce, D.C., is a chiropractor located in Buffalo, NY. Take the next step and contact Dr. Scott A Croce, D.C., for a consultation in Buffalo, NY or to get more information. Rachel A Brooks, D.C., is a chiropractor located in Buffalo, NY. Techniques: • Diversified • Activator Methods Take the next step and contact Dr. Rachel A Brooks, D.C., for a consultation in Buffalo, NY or to get more information. Neal Pignatora, D.C., is a chiropractor located in Buffalo, NY. Take the next step and contact Dr. Neal Pignatora, D.C., for a consultation in Buffalo, NY or to get more information. Gerard J Werder, D.C., is a chiropractor located in Buffalo, NY. Techniques: • Diversified Take the next step and contact Dr. Gerard J Werder, D.C., for a consultation in Buffalo, NY or to get more information. Andrea Hutton, D.C., is a chiropractor located in Buffalo, NY. Take the next step and contact Dr. Andrea Hutton, D.C., for a consultation in Buffalo, NY or to get more information. Enrique Rodriquez, D.C., is a chiropractor located in Buffalo, NY. Take the next step and contact Dr. Enrique Rodriquez, D.C., for a consultation in Buffalo, NY or to get more information. Patrick O'Neill, D.C., is a chiropractor located in Buffalo, NY. Take the next step and contact Dr. Patrick O'Neill, D.C., for a consultation in Buffalo, NY or to get more information. Geoffrey J Gerow, D.C., is a chiropractor located in Buffalo, NY. Take the next step and contact Dr. Geoffrey J Gerow, D.C., for a consultation in Buffalo, NY or to get more information. Jeffrey GeRow, D.C., is a chiropractor located in Buffalo, NY. Techniques: • Diversified • Gonstead Take the next step and contact Dr. Jeffrey GeRow, D.C., for a consultation in Buffalo, NY or to get more information. Julius P Horvath, D.C., is a chiropractor located in Buffalo, NY. Techniques: • Diversified • Flexion-Distraction Take the next step and contact Dr. Julius P Horvath, D.C., for a consultation in Buffalo, NY or to get more information. Gary Majkowski, D.C., is a chiropractor located in Buffalo, NY. Take the next step and contact Dr. Gary Majkowski, D.C., for a consultation in Buffalo, NY or to get more information. Victor Stepankowski, D.C., is a chiropractor located in Buffalo, NY. Techniques: • Diversified Take the next step and contact Dr. Victor Stepankowski, D.C., for a consultation in Buffalo, NY or to get more information. John S Kapus, D.C., is a chiropractor located in Buffalo, NY. Take the next step and contact Dr. John S Kapus, D.C., for a consultation in Buffalo, NY or to get more information. Lisa Tyler, D.C., is a chiropractor located in Buffalo, NY. Take the next step and contact Dr. Lisa Tyler, D.C., for a consultation in Buffalo, NY or to get more information. William B Davis, D.C., is a chiropractor located in Buffalo, NY. Techniques: • Cox • Diversified Take the next step and contact Dr. William B Davis, D.C., for a consultation in Buffalo, NY or to get more information. Michael Cochran, D.C., is a chiropractor located in Buffalo, NY. Take the next step and contact Dr. Michael Cochran, D.C., for a consultation in Buffalo, NY or to get more information. Mark A Dux, D.C., is a chiropractor located in Buffalo, NY. Techniques: • Cox • Diversified Take the next step and contact Dr. Mark A Dux, D.C., for a consultation in Buffalo, NY or to get more information. Steven R Caprow, D.C., is a chiropractor located in Buffalo, NY. Techniques: • Diversified • Gonstead • Palmer Package • Activator Methods • Applied Kinesiology Take the next step and contact Dr. Steven R Caprow, D.C., for a consultation in Buffalo, NY or to get more information. Dennis G Przybyla, D.C., is a chiropractor located in Buffalo, NY. Take the next step and contact Dr. Dennis G Przybyla, D.C., for a consultation in Buffalo, NY or to get more information. Luke Przybyla, D.C., is a chiropractor located in Buffalo, NY. Take the next step and contact Dr. Luke Przybyla, D.C., for a consultation in Buffalo, NY or to get more information. Mercedes Trzcinski, D.C., is a chiropractor located in Buffalo, NY. Techniques: • Logan Basic • Gonstead Take the next step and contact Dr. Mercedes Trzcinski, D.C., for a consultation in Buffalo, NY or to get more information. Stuart Vogelmann, D.C., is a chiropractor located in Buffalo, NY. Techniques: • Logan Basic • Toftness • Concept Therapy Institute Take the next step and contact Dr. Stuart Vogelmann, D.C., for a consultation in Buffalo, NY or to get more information. Keith Hosmer, D.C., is a chiropractor located in Buffalo, NY. Take the next step and contact Dr. Keith Hosmer, D.C., for a consultation in Buffalo, NY or to get more information. Richard E Ziarkowski, D.C., is a chiropractor located in Buffalo, NY. Take the next step and contact Dr. Richard E Ziarkowski, D.C., for a consultation in Buffalo, NY or to get more information. Anthony Amabile, D.C., is a chiropractor located in Buffalo, NY. Techniques: • Diversified • Gonstead Take the next step and contact Dr. Anthony Amabile, D.C., for a consultation in Buffalo, NY or to get more information. Anthony V Morgante, D.C., is a chiropractor located in Buffalo, NY. Techniques: • Chiropractic Biophysics • Diversified • Nimmo Take the next step and contact Dr. Anthony V Morgante, D.C., for a consultation in Buffalo, NY or to get more information. Gary W Conschafter, D.C., is a chiropractor located in Buffalo, NY. Take the next step and contact Dr. Gary W Conschafter, D.C., for a consultation in Buffalo, NY or to get more information. Edward G Hayes, D.C., is a chiropractor located in Buffalo, NY. Take the next step and contact Dr. Edward G Hayes, D.C., for a consultation in Buffalo, NY or to get more information. Theresa Morgante, D.C., is a chiropractor located in Buffalo, NY. Techniques: • Chiropractic Biophysics • Diversified • Nimmo Take the next step and contact Dr. Theresa Morgante, D.C., for a consultation in Buffalo, NY or to get more information. Robert L Conschafter, D.C., is a chiropractor located in Buffalo, NY. Techniques: • Palmer Package Take the next step and contact Dr. Robert L Conschafter, D.C., for a consultation in Buffalo, NY or to get more information. Edwin Grzankowski, D.C., is a chiropractor located in Buffalo, NY. Techniques: • Applied Kinesiology • Sacro Occipital Technique • Total Body Modification Take the next step and contact Dr. Edwin Grzankowski, D.C., for a consultation in Buffalo, NY or to get more information. David S Conschafter, D.C., is a chiropractor located in Buffalo, NY. Techniques: • Cox • Palmer Package • Logan Basic • Flexion-Distraction Take the next step and contact Dr. David S Conschafter, D.C., for a consultation in Buffalo, NY or to get more information. Stephen A Grande, D.C., is a chiropractor located in Buffalo, NY. Techniques: • Cox • Gonstead • Diversified • Activator Methods • Total Body Modification Take the next step and contact Dr. Stephen A Grande, D.C., for a consultation in Buffalo, NY or to get more information. Brian Punturiero, D.C., is a chiropractor located in Buffalo, NY. Techniques: • Diversified • Trigger Point Therapy Take the next step and contact Dr. Brian Punturiero, D.C., for a consultation in Buffalo, NY or to get more information. 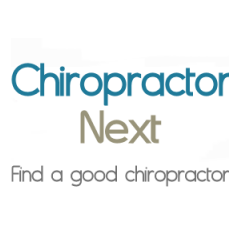 J J Nowak, D.C., is a chiropractor located in Buffalo, NY. Take the next step and contact Dr. J J Nowak, D.C., for a consultation in Buffalo, NY or to get more information. Robert L Stasiak, D.C., is a chiropractor located in Buffalo, NY. Techniques: • Gonstead • Diversified Take the next step and contact Dr. Robert L Stasiak, D.C., for a consultation in Buffalo, NY or to get more information. Catherine M Rice, D.C., is a chiropractor located in Buffalo, NY. Take the next step and contact Dr. Catherine M Rice, D.C., for a consultation in Buffalo, NY or to get more information. James M Hyland, D.C., is a chiropractor located in Buffalo, NY. Take the next step and contact Dr. James M Hyland, D.C., for a consultation in Buffalo, NY or to get more information. Nick Hirschfelt, D.C., is a chiropractor located in Buffalo, NY. Techniques: • Diversified • Activator Methods • Toggle Recoil • Cervical Drop Headpiece • Flexion-Distraction • Thompson Take the next step and contact Dr. Nick Hirschfelt, D.C., for a consultation in Buffalo, NY or to get more information. Gerald J Mozingo, D.C., is a chiropractor located in Buffalo, NY. Techniques: • Diversified • Thompson • Cox • Gonstead Take the next step and contact Dr. Gerald J Mozingo, D.C., for a consultation in Buffalo, NY or to get more information. Tina Webb, D.C., is a chiropractor located in Buffalo, NY. Take the next step and contact Dr. Tina Webb, D.C., for a consultation in Buffalo, NY or to get more information. David L Ribakove, D.C., is a chiropractor located in Buffalo, NY. Take the next step and contact Dr. David L Ribakove, D.C., for a consultation in Buffalo, NY or to get more information. Lawrence R Birzon, D.C., is a chiropractor located in Buffalo, NY. Techniques: • Diversified • Flexion-Distraction Take the next step and contact Dr. Lawrence R Birzon, D.C., for a consultation in Buffalo, NY or to get more information. Brian Werder, D.C., is a chiropractor located in Buffalo, NY. Techniques: • Diversified • Logan Basic Take the next step and contact Dr. Brian Werder, D.C., for a consultation in Buffalo, NY or to get more information. Amal F Mardini, D.C., is a chiropractor located in Buffalo, NY. Take the next step and contact Dr. Amal F Mardini, D.C., for a consultation in Buffalo, NY or to get more information. Timothy G Carroll, D.C., is a chiropractor located in Buffalo, NY. Techniques: • Applied Kinesiology • Sacro Occipital Technique Take the next step and contact Dr. Timothy G Carroll, D.C., for a consultation in Buffalo, NY or to get more information.